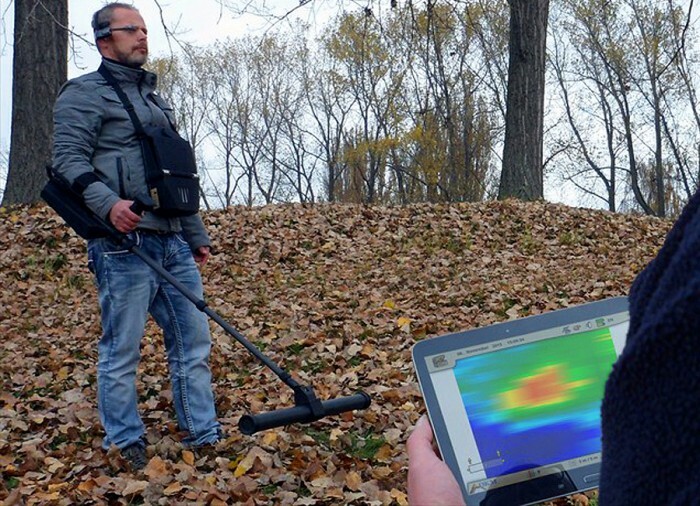 Cutting edge technology has come to metal detectors with the world’s first 3d ground scanner. 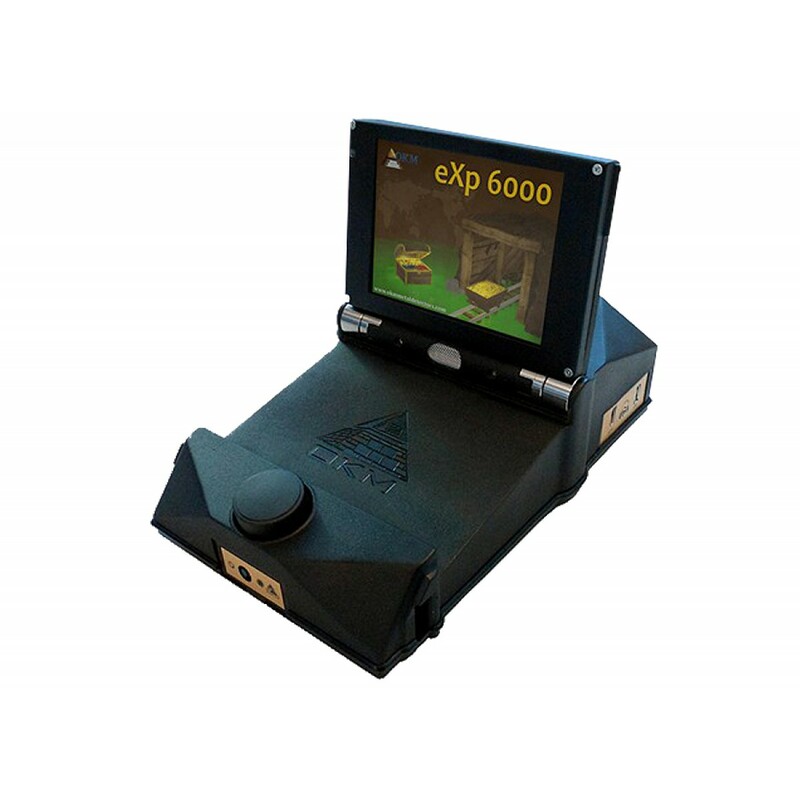 The eXp 6000 features wireless construction and can be controlled by either a touch screen, Android video eye glasses or an Android / Windows Tablet. The eXp 6000 features a multilingual control unit, GPS functionality, Telescopic Rod Assembly, and a variety of sensors. Use advanced technology to your advantage with the eXp 6000. 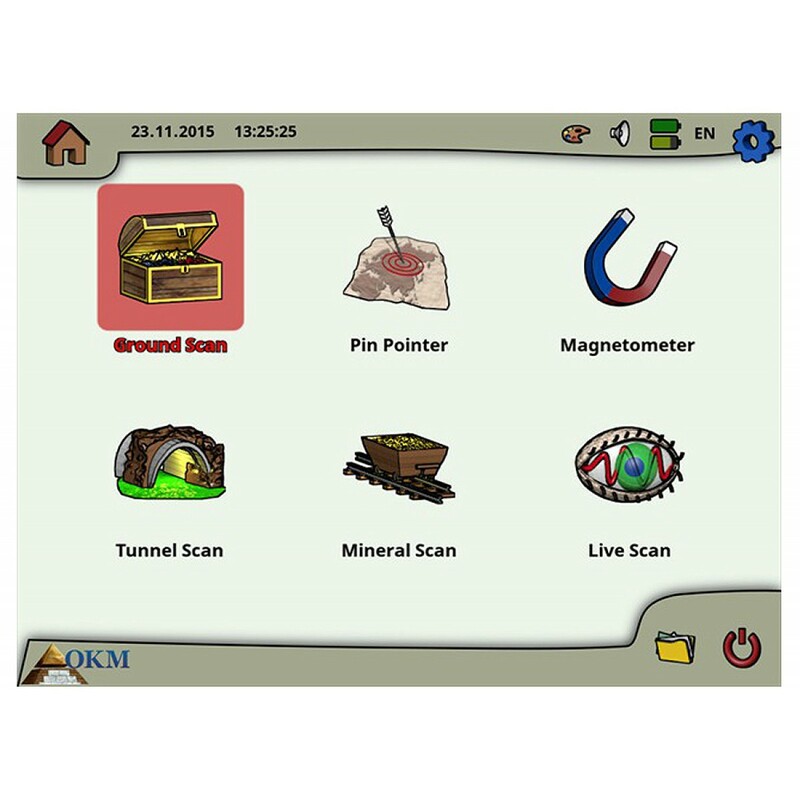 The eXp 6000 ground scanner is OKM's top of the line 3d metal detector, an ultra-modern geophysical detection instrument to locate buried artifacts, lost treasures, subsurface anomalies, underground utilities as well as other hidden structures. 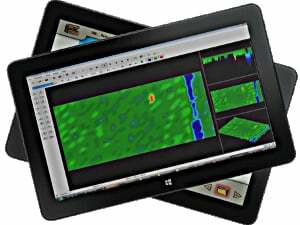 It provides nondestructive examination methods to render graphical images of subterranean targets before excavation. 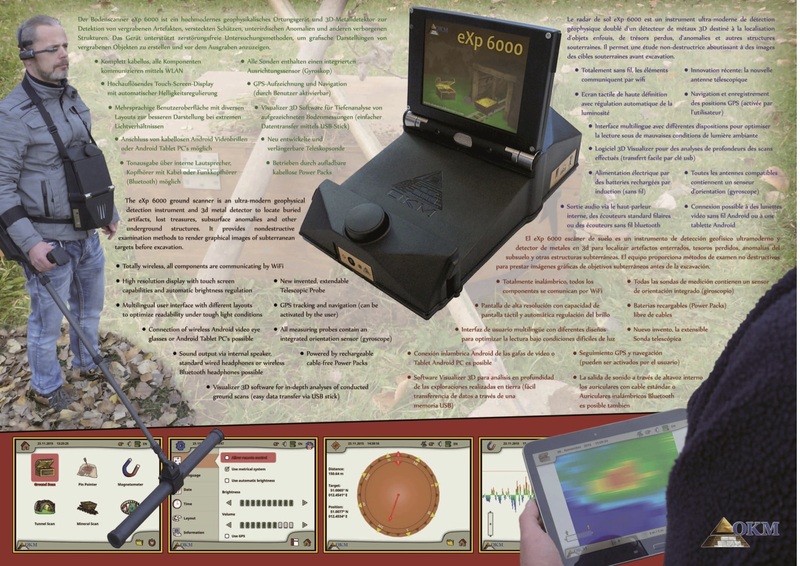 Based on practical experiences with the ancestors eXp 4500 and eXp 5000, the revolutionary release of the eXp 6000 ground scanner opens up new opportunities for serious treasure hunters, gold seekers, archaeologists, prospectors, ground research companies and metal detecting enthusiasts. 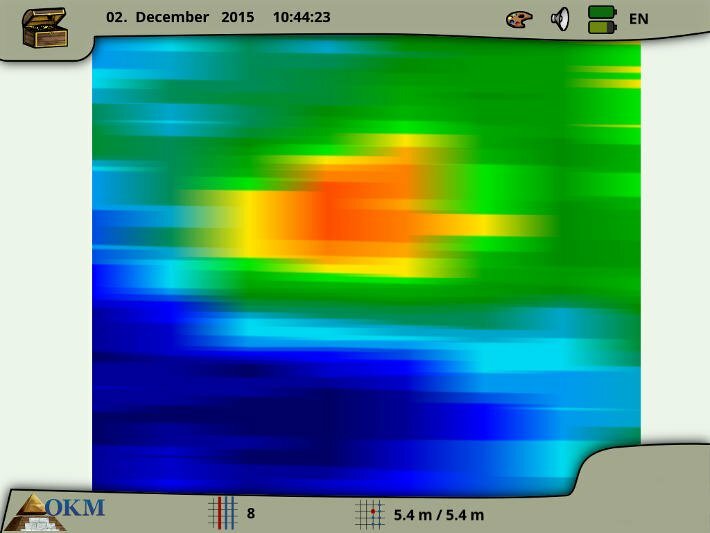 Detection of Underground Non-Metal Anomalies like Walls, Foundations, Statues, Ancient Tombs, Caves, Sepulchers, Chambers, etc. All components of the eXp 6000 including control unit, telescopic rod assembly and measuring probes are completely wireless and will connect to each other via WiFi. The integrated GPS receiver, that can be activated by the user, is able to store GPS coordinates along with the measured values. 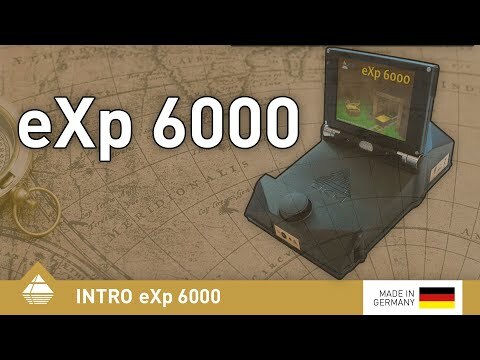 Thus you can use the GPS navigation features of the eXp 6000 to locate the areas of your recorded scans easily, even after a long time between ground survey and scan analysis. 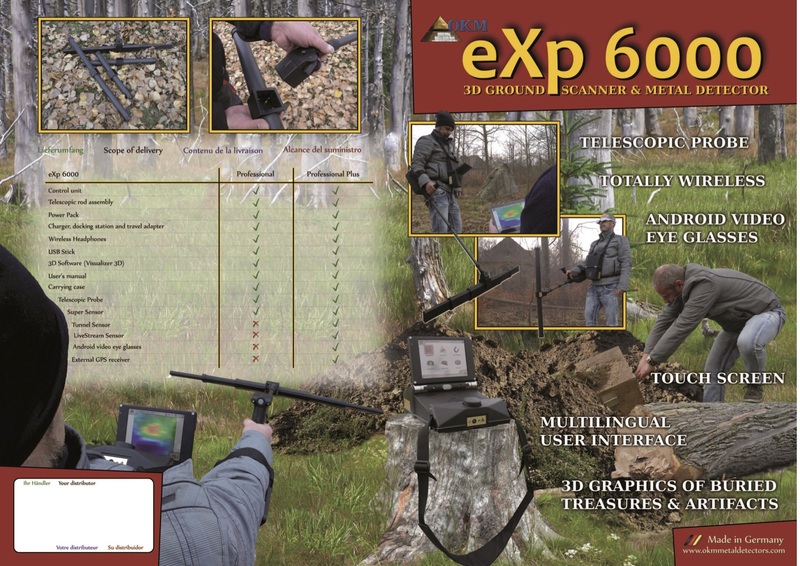 The eXp 6000 metal detector comes with a variety of specialized measuring probes. Each measuring probe is equipped with an orientation sensor (gyroscope) that assists in conducting scan images of high quality. By keeping track of the probe's orientation the operator can immediately correct inclinations of the connected measuring probe while scanning the underground. 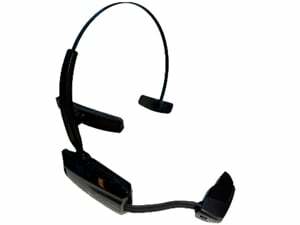 The user will get a visual indication directly onto the screen or video eye glasses of the eXp 6000 as well as an acoustical signal. 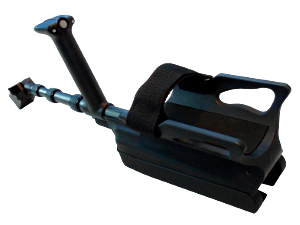 This very new and unique ground scanning probe was invented by OKM to reduce the amount of scanning probes as used with previously eXp detectors. 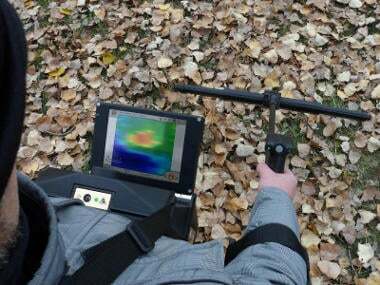 Now the treasure hunter will utilize one single horizontal GPR probe that can be extended from 50 cm to 120 cm scanning width. Due to its complex sensor design the LiveStream Sensor is operated to get a direct view into the underground. The measuring data will be streamed onto the display or the video eye glasses of the eXp 6000 to locate hidden objects and underground structures. 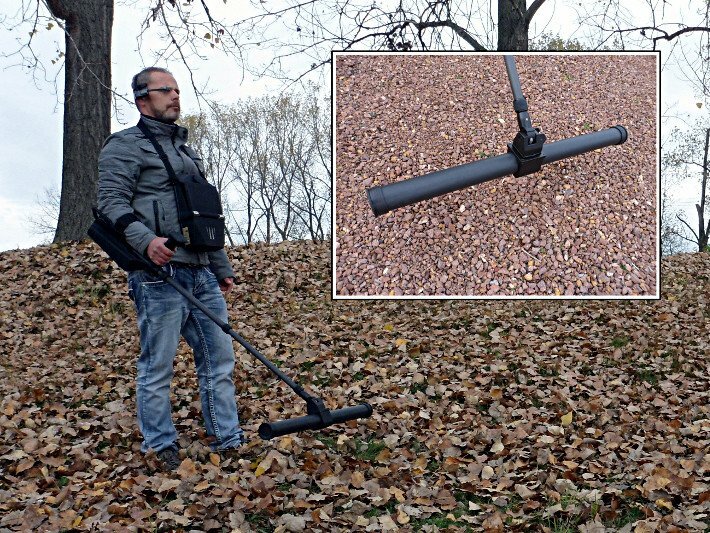 Thus the operator of the metal detector receives quick information regarding what is buried beneath his feet in the underground soil. As the name of this measuring probe already implies, the Super Sensor is one of the most versatile ground scanning probe that can be used for additional operating modes like Pin Pointer (with metal discrimination) and Mineral Scan (detection of natural gold occurrences). 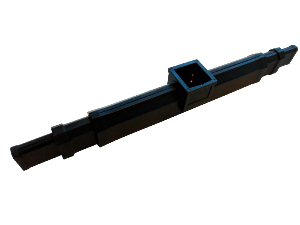 The Tunnel Sensor has been designed to locate underground hollow spaces like tunnels, caves, sepulchers, dugouts, bunkers, shelters, tombs and the like. 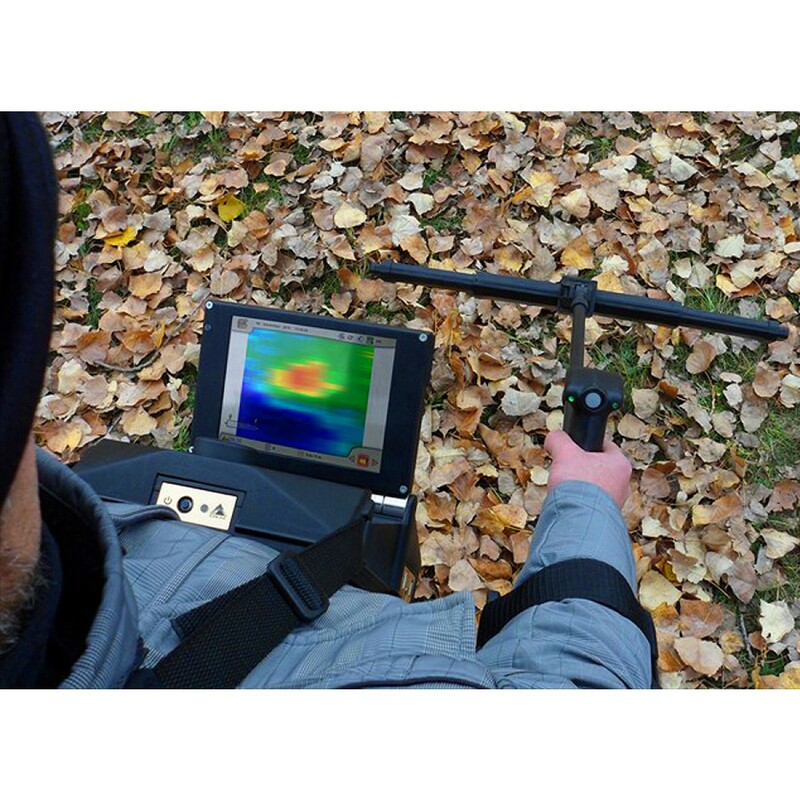 Thus it can be used to detect non-metallic changes within the subsurface soil. For detailed in-depth analysis of conducted ground scans, the eXp 6000 offers the option to transfer its data via USB stick to a computer with Visualizer 3D software. The eXp 6000 supports different operating modes that can be used to detect underground treasures, artifacts, facilities and voids. Depending on the operator's task or application the appropriate operating mode has to be used in conjunction with one of the measuring probes. 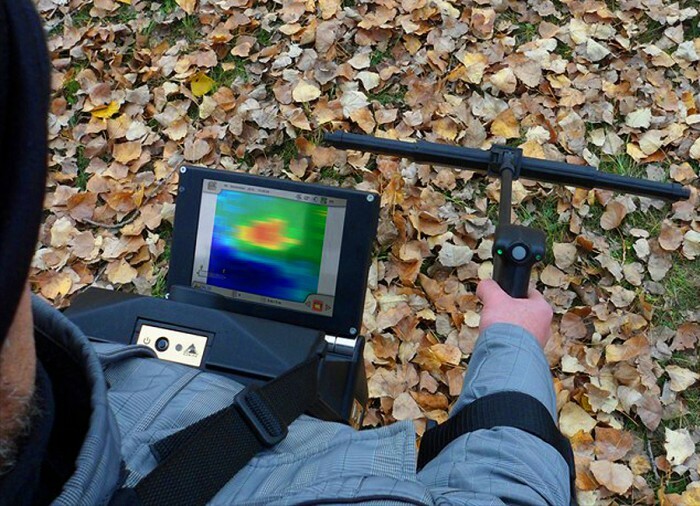 The Ground Scan operating mode can be considered as the most important function. The operator can use all available measuring probes to create a full ground scan of a scan area. 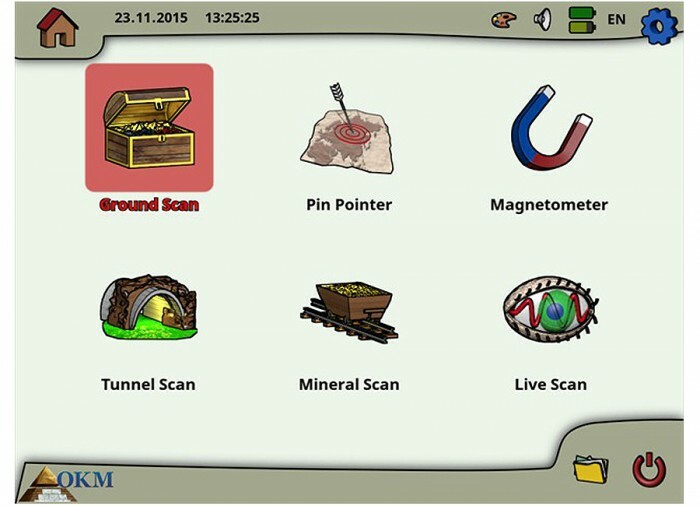 The resulting scan image can be stored into the metal detector's control unit for additional analyses. 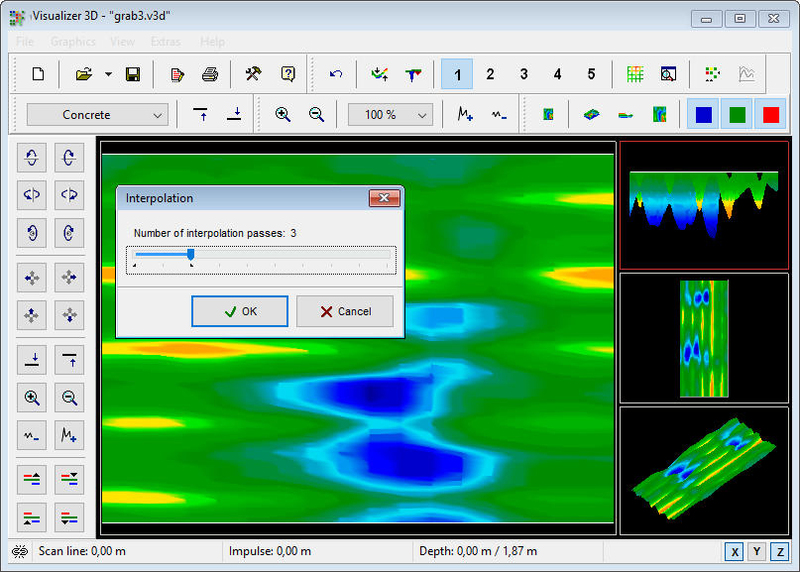 Simply transfer the data via USB stick to a Windows computer to utilize the Visualizer 3D software for in-depth analysis like position determination, depth and size measurements as well as signal corrections. 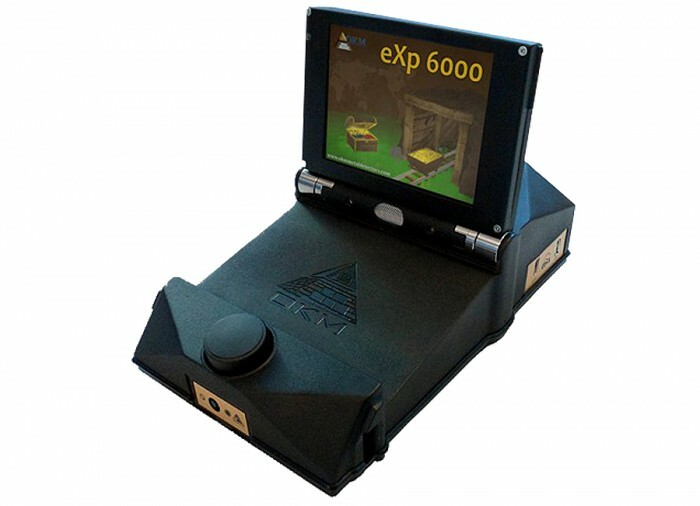 For prospectors and gold seekers the Mineral Scan operating mode comes into focus. This function is operated with the Super Sensor to locate underground deposits of natural minerals like gold. The Tunnel Scan functionality is intended for all operators who are looking for voids, caves, chambers, tombs, tunnels and the like. 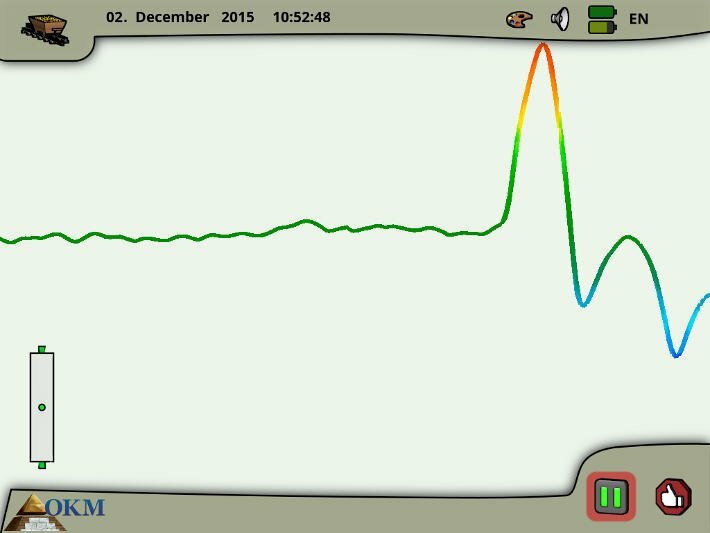 This operating mode can only be used with the Tunnel Sensor to highlight potential places of non-metallic objects and anomalies. The Pin Pointer operating mode utilizes the Super Sensor to pinpoint the exact location of detected objects. It also gives some kind of indication concerning the type of metal (ferrous vs. non-ferrous). Operators looking for ferrous metals like iron, iron oxide, stainless steel or alloys of iron with other metals will use the operating mode Magnetometer. This function indicates the presence of ferrous metals in an audio-visual way. Furthermore it can be used to clean ferrous contaminated areas before conducting ground scans for precious non-ferrous metals like gold, silver, copper or bronze. The Live Scan operating mode can be used in conjunction with the LiveStream Sensor only. 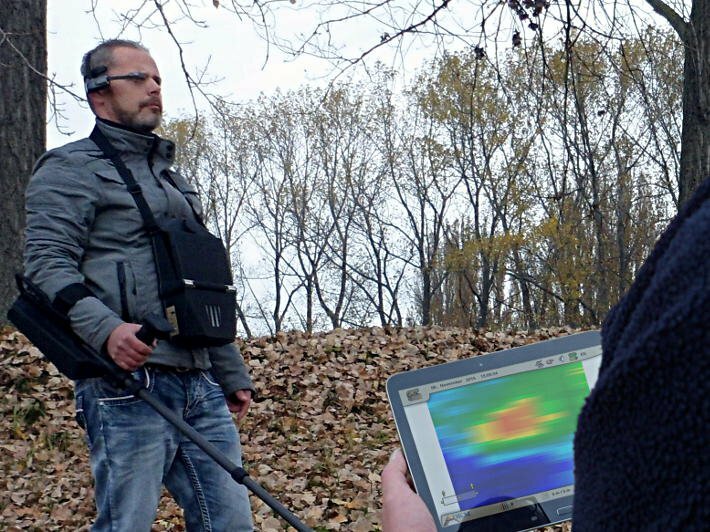 The detectorist will receive scan information streamed directly onto the screen or video eye glasses of the eXp 6000. 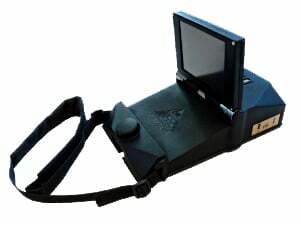 Alternatively to the folding display, the operator of the eXp 6000 ground scanner can connect any modern Android Tablet PC or Android video eye glasses by WiFi. This can be necessary to either replace the display or to allow some additional user(s) to watch alongside while the operator is using the detector. Especially the video eye glasses can support your work by bringing the screen information closer to the user's eyes and reduces the light emission of the standard display. 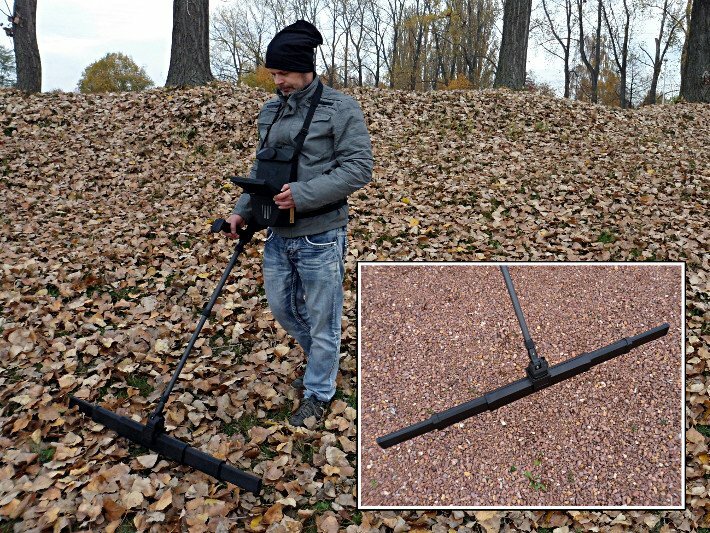 Both alternatives are also very helpful while giving a technical demonstration of the eXp 6000 metal detector or supervising the operator's work. 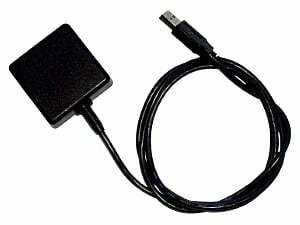 For additional in-depth analysis of conducted ground scans the user of the eXp 6000 ground scanner can transfer the stored scan images to an USB stick. 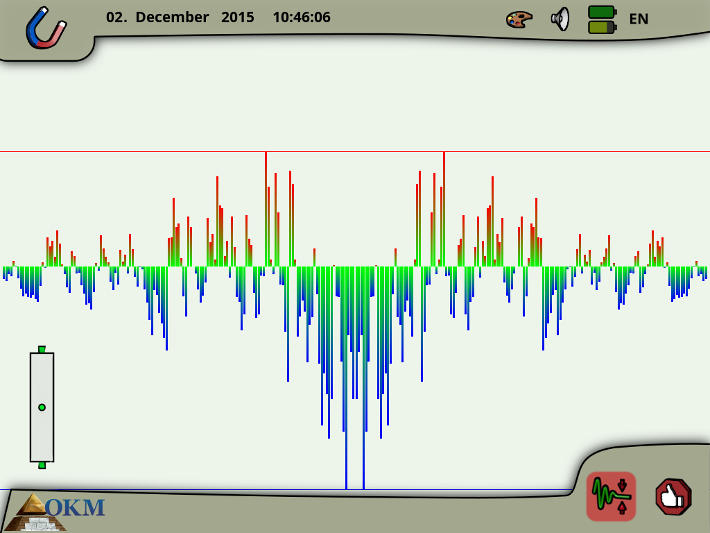 Then those files can be opened by OKM's Visualizer 3D software to optimize, measure and improve the recorded scan data. 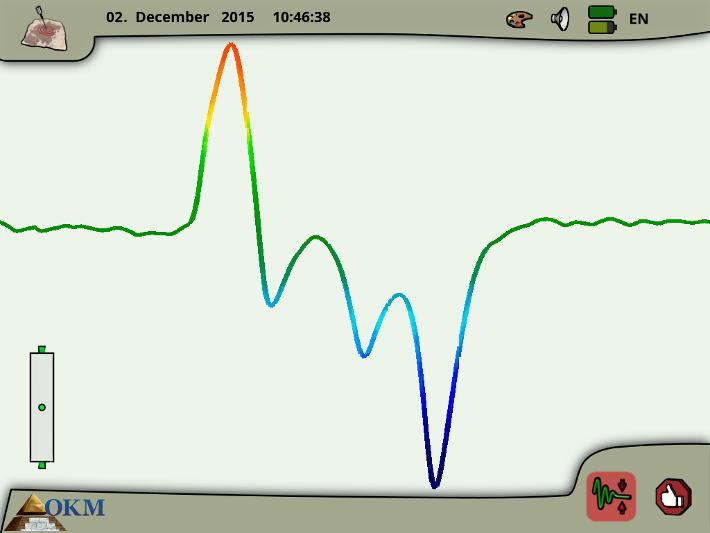 The visualization software already proved its capabilities. Many treasure finds, buried artifacts as well as other hidden objects have been located by evaluating measurements with Visualizer 3D. The graphical 3d representation indicates the existence of buried objects that have been detected underground. 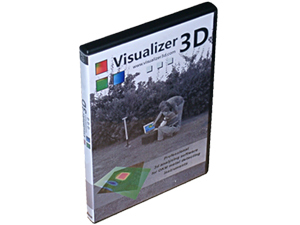 The graphical user interface (GUI) of the Visualizer 3D software comes in many different languages to support the user in the most efficient way. 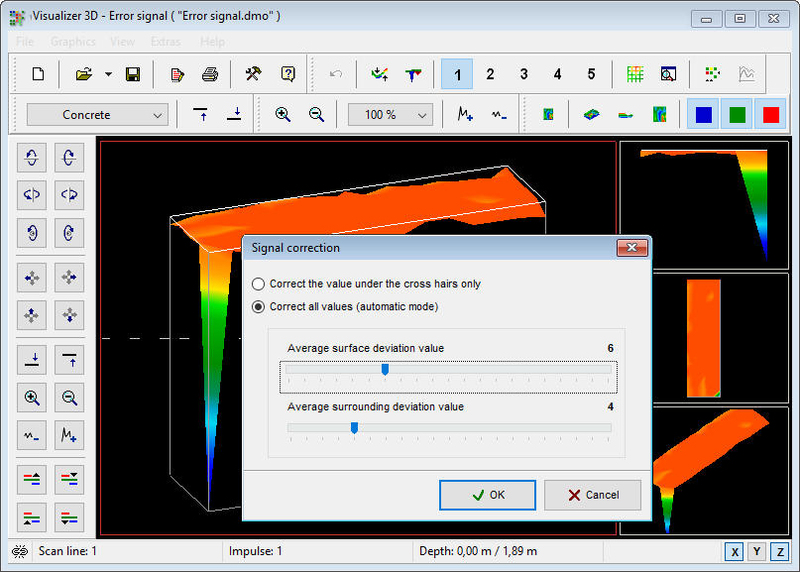 By selecting the anomaly within the graphical view the operator can easily measure its current depth. 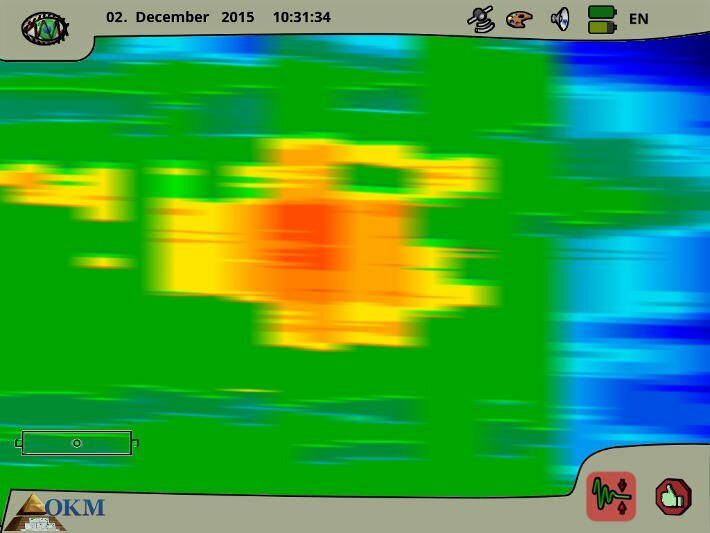 Some filter options like interpolation can improve the quality of the ground scan to better find hidden objects. 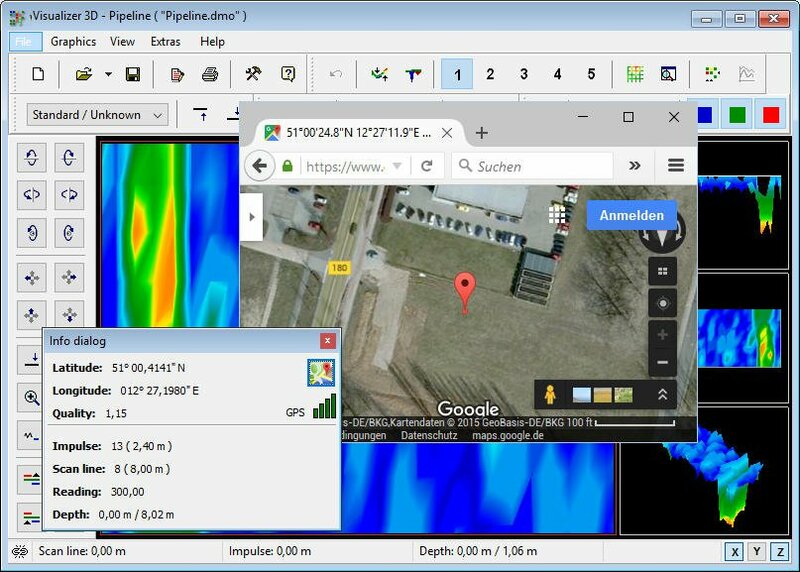 All ground scans that contain valid GPS information can transform the scan field position into Google Maps. 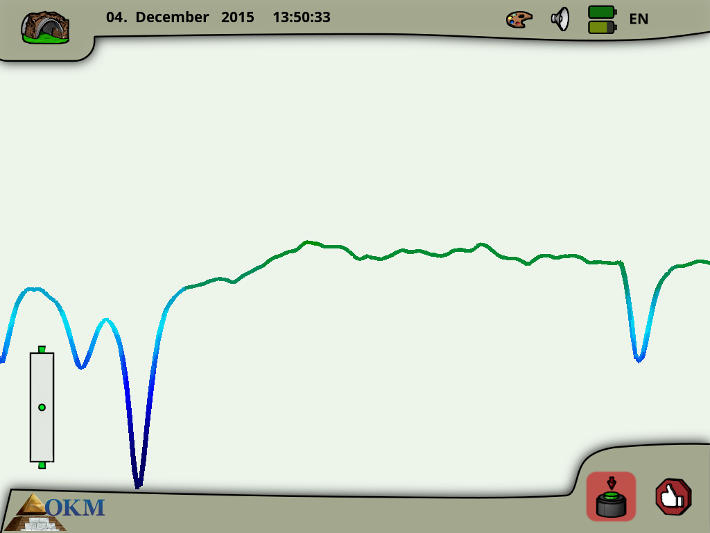 In case of recording errors (probe inclination, wrong rotation...) the 3d software utilizes error correction features. 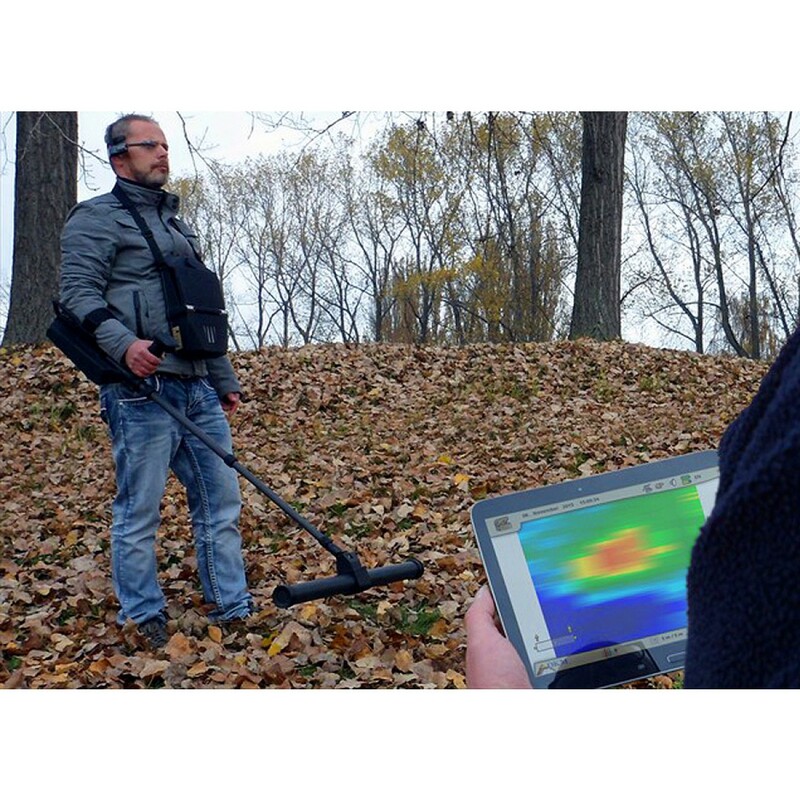 The indicated technical specifications of the eXp 6000 ground scanner and 3d metal detector are average values only. While operating the eXp 6000 and its accessories as well as by future improvements these values may change. Professional (the basic package) and Professional PLUS (the complete package). 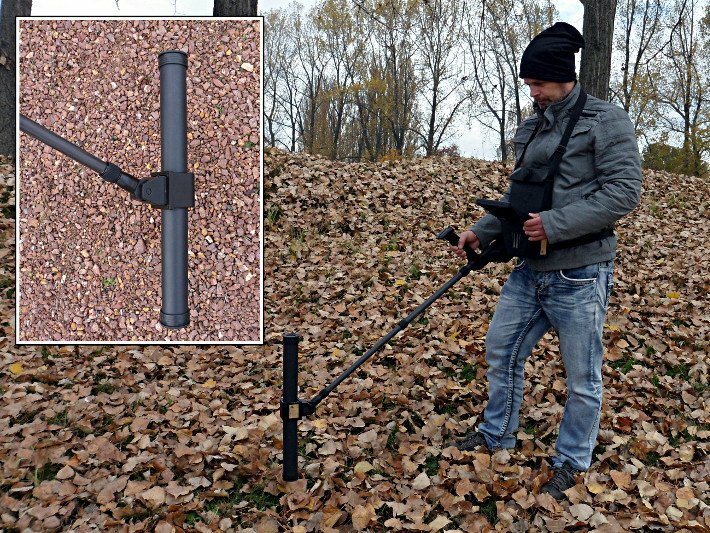 The control unit is the main processing unit of the 3d metal detector. It is equipped with a modern touch screen, automatic brightness control and different graphical layouts. All operating modes of the ground scanner will be controlled by this unit. 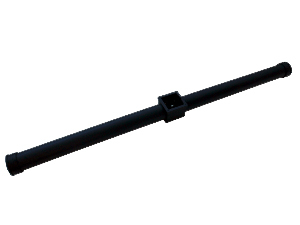 The telescopic rod assembly is used to supply the measuring probes with power. It is also forwarding the measure values from the connected antennas/sensors to the control unit of the eXp 6000 ground scanner by WiFi. 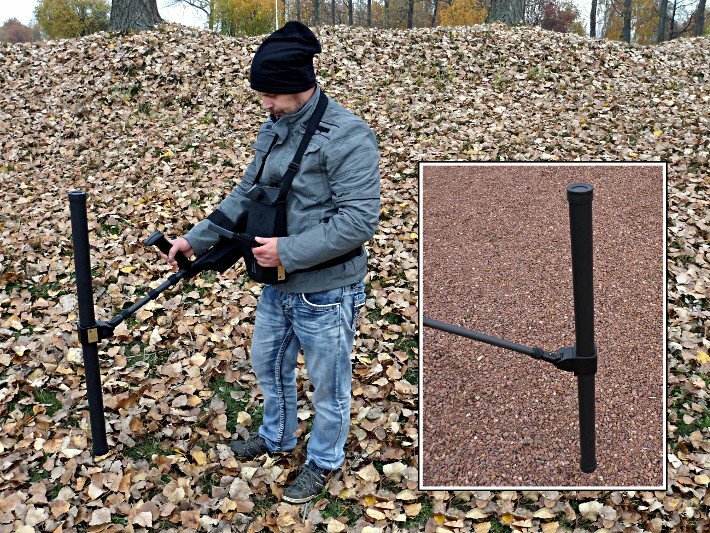 Thus no more cables are needed to operate the 3d metal detector. 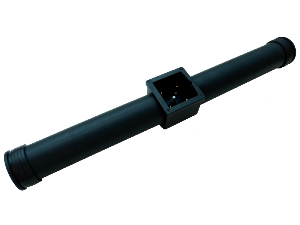 Additionally the telescopic rod assembly has a built-in GPS receiver to embed GPS information into a ground scan (only if activated by the user). 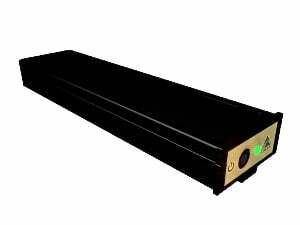 The Power Pack is utilized by the control unit as well as the telescopic rod assembly as power supply. It will indicate its charging condition via LED. To recharge the Power Packs a docking station and charger is required, which is included in any of the eXp 6000 packages. Furthermore a travel adapter completes the charging accessories to make sure the Power Packs can be recharged worldwide. 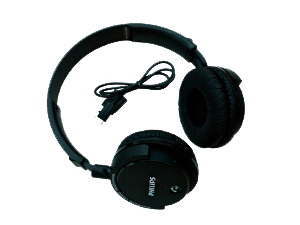 The eXp 6000 ground scanner can be operated with standard wired headphones, wireless Bluetooth headphones or simply by using the internal speaker. For comfort wireless Bluetooth headphones are included in each of the packages. Transferring the scan images from the eXp 6000 control unit to the Visualizer 3D software is very easy. Simply place the USB stick into the control unit and copy all files to it, then place the USB stick into a Windows computer or Windows Tablet PC to view the files in Visualizer 3D. The Visualizer 3D software is used to optimize the scan images that have been conducted with the eXp 6000 ground scanner and 3d metal detector. 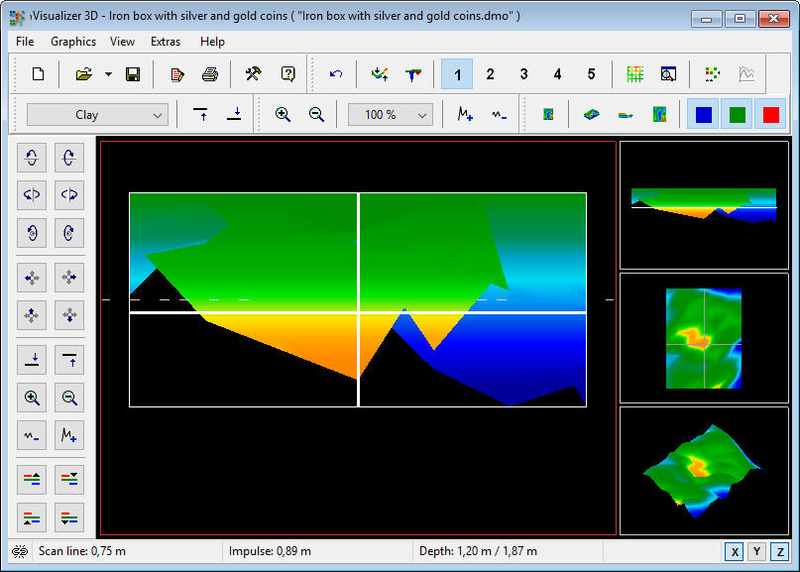 It is also possible to determine depth and size of detected objects. 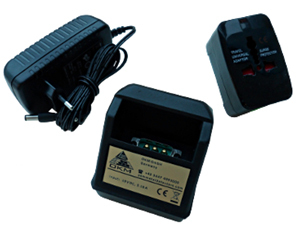 The external GPS receiver is mainly used for pure navigation purposes after conducting a ground scan with GPS information. The user is now able to navigate to this place by using the external GPS receiver without activating the telescopic rod assembly. 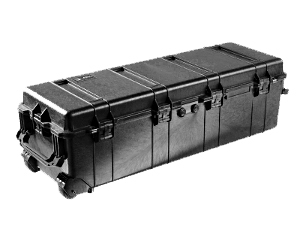 The eXp 6000 metal detector and 3d ground scanner is packed into a shock resistant and waterproof Peli case and thus protected against environmental influences. Thus the detector is safe for traveling or shipping. 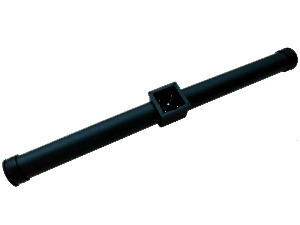 The telescopic probe is an invention of OKM to reduce the number of ground scanning probes as known from former eXp detectors. Thus the operator can decide whether he want to use a small extension to find small objects or if he want to use larger extensions for bigger objects. The Super Sensor is a very high resolution measuring probe to locate even small metallic objects. This is one of the best ground scanner probes that can also be used to find natural gold minerals. Not only gold miners will like the Super Sensor but also treasure hunters to find buried ancient treasures, jewelry and other historic artifacts. 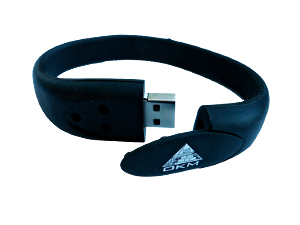 The Tunnel Sensor is used to detect underground tunnels, caves, shelters, graves or sepulchers. Irrespective of the detection of metallic objects the strength of this probe is the location of underground voids. Treasure hunters will love the LiveStream Sensor because it is possible to get a direct quick view into the underground and to scan a big area in short time. Thus the operator can make hassle-free decisions about underground situations. 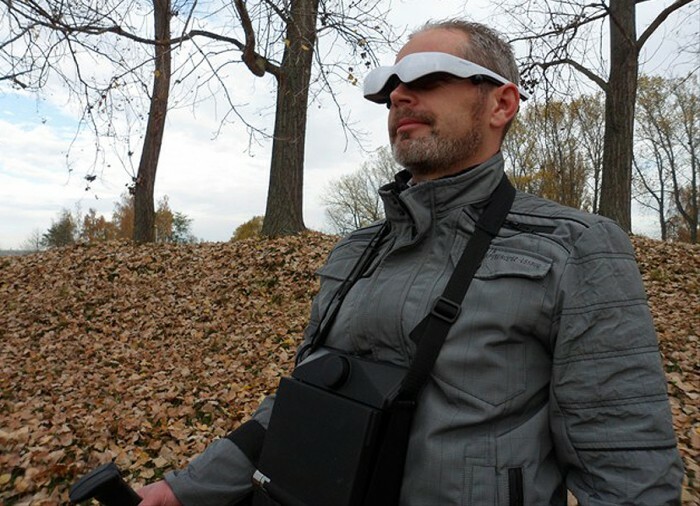 Using the Android video eye glasses with the eXp 6000 ground scanner brings the screen directly in front of your eyes. The glasses are completely portable, wireless and they have a rechargeable battery. 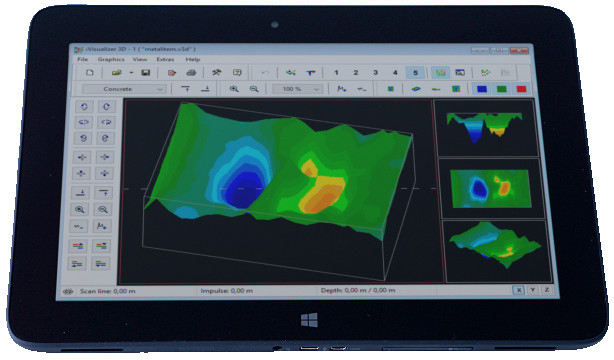 For easy field operation the Visualizer 3D software may be loaded into a mobile Windows Tablet PC. 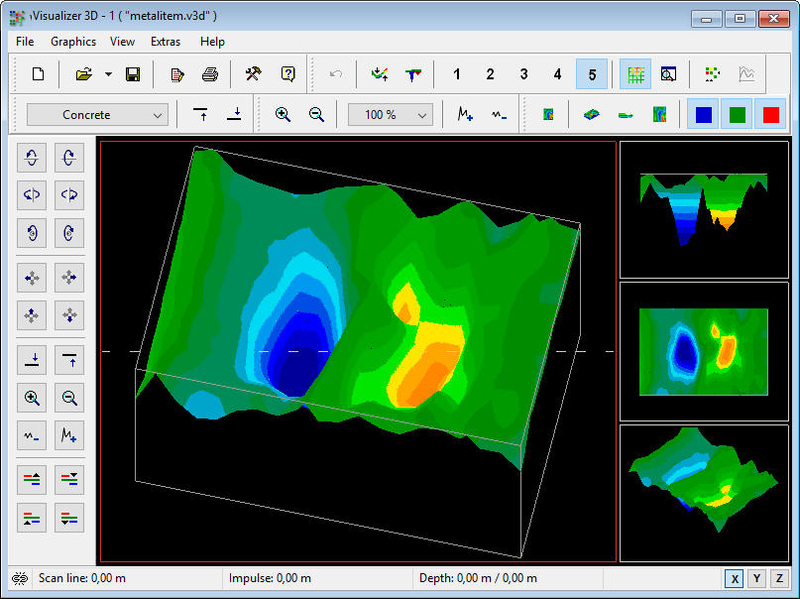 By that the eXp 6000 operator can analyze scan images quickly with Visualizer 3D. Mostly a small team of people are working together to scan a field. In that case it could be beneficial to watch along with the operator how the scan images are created. By connecting an Android Tablet PC or even the Android video eye glasses all participants can follow the operators work on a separate screen.